Does your child in high school or college need a job for the summer? Could your business use some help in the office or warehouse? There's a way to kill two birds with one stone. 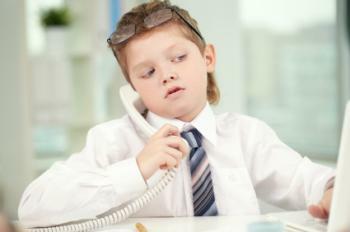 Strategy: Hire your child to work for your company while school’s out. It solves the child’s job search problem at the same time the family collects a bundle of tax breaks. Remember that your child is generally treated like any other employee, so he or she can usually cash in on the same fringe benefits as the other workers. In addition, the compensation paid to the child is fully deductible by your company. What’s more, you can slash your overall tax bill through family income-splitting. Example: You pay your 18-year-old child $5,000 in salary this summer that otherwise would have been included in your taxable compensation. Since the standard deduction for 2012 is $5,950, your child pays no income tax if he or she has no more than $950 of other earnings. Assuming you’re in the 33% tax bracket, the family saves $1,650 in tax (33% of $5,000). What’s more, your family saves even more tax overall if your child’s income exceeds the standard deduction amount. Reason: Every dollar paid to your child instead of you is taxed at a lower tax rate. What other tax benefits are available for hiring a child? Consider these four potential tax breaks. 1. Insurance plans: You can provide health insurance coverage for your child under a group plan. The health insurance protection is 100% tax-free. In addition, the first $50,000 of group-term life insurance coverage paid on behalf of your child is tax-free. With both types of insurance plans, the premiums paid by your business are deductible. 2. Company retirement plans: Your child is eligible to participate in your 401(k) or other qualified retirement plan. 3. IRAs: Now that your child has earnings from a job, he or she can sock away up to $5,000 in a traditional IRA or a Roth IRA for 2012. Since your child’s income is low, the contributions to a traditional IRA are deductible on his or her personal return. 4. FICA and FUTA: If a child under age 18 is employed by a parent’s sole proprietorship or by the parents’ husband-wife partnership, the child’s wages are exempt from the Social Security and Medicare taxes. Another exemption applies to FUTA tax up until the age of 21. These payroll tax breaks can represent significant tax savings for a parent who is self-employed. Tip: Make sure your child is an official employee. A new decision shows that even a tax expert can be derailed by the technicalities. Facts: A former IRS agent started his own accounting practice, preparing approximately 200 tax returns per year. The accountant has two daughters, ages 20 and 17, in 2007. Both daughters provided administrative assistance to the practice. Moral of the story: Don’t ignore the usual requirements just because an employee is your child. Will the Alternative Minimum Tax 'patch' save your skin? Should you take notes in meetings electronically?